First, add create a file called realip.php in a location of your choice (I recommend /usr/share/php/). If you are using WordPress you may skip both Step 1 and Step 2, and add the PHP code from Step 1 directly into your wp-config.php. But keep in mind that this will only take effect on the WordPress site you are adding this code to and not all of your sites (including other WordPress sites on the same server). Save, exit, and restart your webserver. So there you go. 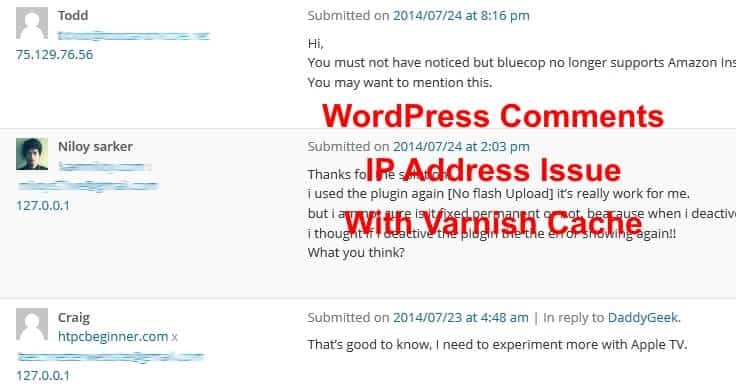 Whether you are using Varnish cache with Apache or Nginx, the above solution should fix the Varnish WordPress comments IP address problem. How to clean wp_commentmeta and wp_postmeta tables?